Are you a successful Kootenays entrepreneur? Junior Achievement British Columbia (JABC) needs you! If you are a business owner and are wondering how you might put the wealth of knowledge and experience you’ve gained to beneficial use in your community, here’s a suggestion… mentor young, aspiring business entrepreneurs. School is just around the corner and so is a super opportunity to give back in a way that can have significant impact on the lives and aspirations of local young people. Junior Achievement British Columbia (JABC) is a global non-profit dedicated to educating youth in business and leadership. JABC seeks out local business mentors to have a direct impact on youth in their communities. The organization then partners them with classrooms to share their real-life experiences to empower youth with tools for job readiness, entrepreneurship and financial literacy. 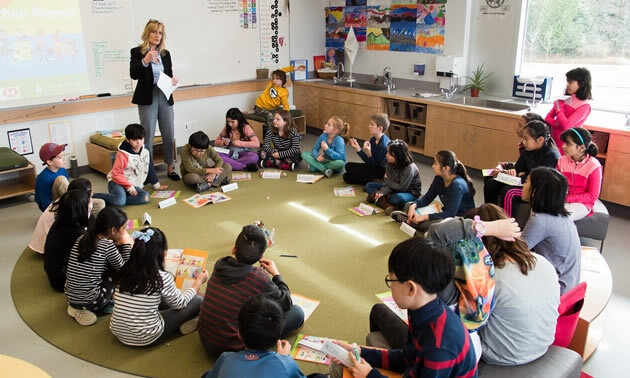 Volunteers from all different backgrounds are given the opportunity to make an impact on classrooms through easily accessible program templates. If you bring expertise to the fore, you have the opportunity to have a profound impact on the next generation of entrepreneurs, taking on the role of educator sharing your knowledge, experience, and passion for what you do. The positive influence can often be seen in only a few hours. Volunteers are given a package that includes a PowerPoint template for them to follow and corresponding workbooks and interactive games for each student. They prepare before going into the classroom and are supported by the program co-ordinator, which is Tynan in the Columbia Basin South region. JABC’s reach in continuing to grow. The organization is currently in 56 of 60 B.C. school districts. The programs can be condensed into a couple of short classroom visits or run over a series of four weeks for one hour each visit. It depends on the needs of the teacher and volunteer. JABC programs are flexible enough to fit different schedules. If you feel you are up for the challenge, inspiring eager young minds about business and entrepreneurship, contact Tynan at Alanna.Tynan@JABC.org for more information.